Mindset – Jesus is Awesome – Start with the idea/faith that everything that Jesus says/does reflects His Divine Brilliance. What Jesus says and does must be totally awe-worthy, for He is God! Reading Scripture seeking Evidence for Jesus’ Awesomeness – Read the Gospels specifically looking for evidence of Jesus’ awesomeness. If you aren’t impressed, you don’t yet understand. Put Jesus’s Awesomeness in a 21st century context and personalize it – After understanding Jesus’ actions in the context of a 1st century Jew, try to understand how Jesus’s acts/thoughts might play out in the 21st century. Imagine what it might be like. And think of how you personally would react as a witness to the Lord’s words and deeds. You must make Christ’s works real in your life. Many men have become lukewarm in their faith. They are Casual Catholics, casual about their faith, casual about their faith practices and casual about their morality. It is quite easy (Satan likes it that way) to slip into ‘Casualness’ in the modern Secular society that promotes the “evil twins of secularism”: pluralism (every culture/people/sect has their own truth) and relativism (no culture/people/sect has truth). You might notice that these concepts are self-canceling (i.e. if some things are true, then there must be truth; if nothing is true, then no one can have truth), but these arguments have been very effective weapons for an atheists to to argue against Truth. 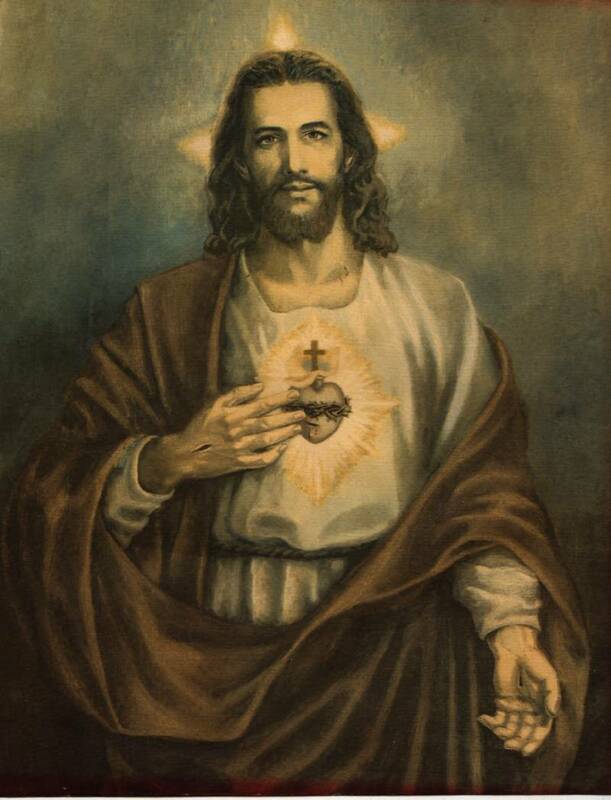 Of course, Catholics believe/know that there is absolute Truth, because Jesus Christ is Truth (John 14:6) and the Catholic Church lovingly and perfectly protects and teaches that Truth for all generations through the Magisterium (CCC 77, 88). Somewhere along the way, the real Jesus has not be taught. He’s perhaps not been properly introduced, taught in conceptual or abstract forms, taught without ardor or lost in a ‘heap of Catholicism’. Or perhaps Jesus has been “downgraded”; many modern people make fun of Christ or try to discount His Divinity (e.g. “Sure, Jesus was a great teacher, but hey, there are a lot of great teachers”). The core reason why so many men are Casual Catholics is that they haven’t truly met Jesus Christ and discovered the Truth. If Jesus is truly the Son of God, one can not help but be impressed. If you are not impressed, you have not truly yet met Jesus. When men are Casual Catholics, they slip farther and farther into Sin rather than ascending with Grace towards Holiness. And that’s the huge danger: unrepentant Sin leads to eternal death! (CCC 1472). To snap out of Casualness, man can make an act of the Will: to open up one’s mind to the idea that Jesus Christ is the Son of God and that everything that Jesus does and says must demonstrate His Awesomeness. The Church teaches that Scripture accurately presents Jesus Christ without error (CCC 101-108). To understand Christ’s Divine Brilliance during the Incarnation, we can read the Gospels using a hermeneutic (a fancy theological word: a method for reading/interpreting scripture). Here’s a hermeneutic to use to observe Jesus’ Divine Brilliance : Only Jesus is Awesome. By ‘awesome’, what’s meant it the meaning from the traditional etymology of the word. Awesome traces its meaning to “Awe” from the Greek, akhos meaning “pain, grief”, “dread mixed with veneration”. “Awesome” means to be “profoundly reverential”. Since Jesus is the Son of God, there should (and certainly is) evidence of God’s Divinity in almost every passage of the Gospel. What’s needed is to start with the idea (or more accurately, faith) that the ‘Awesomeness” of Jesus is there, it just needs to be understood. To help understand scripture it is very important to read scripture with a true sense: history is full of heretical and confused individually driven interpretations; heretics continue to abound today, just turn on “Christian” television shows and you will quickly see evidence of the confusion. Build your faith life on the Rock, relying on the CatholicChurch, a Church with 2000+ years of continuous true interpretation, guaranteed by the Holy Spirit. For a lay person, reading Scripture using a proven Catholic study bible is key: CatholicManNight recommends “Ignatius Catholic Study Bible – New Testament – with notes by Scott Hahn and Curtis Mitch”. One can also look to strong bible studies like Jeff Cavin’s “Great Adventure Bible Series”, Dr. Tim Grey’s series on “1 Corinthians” or Dr. Edward Sri’s various books (e.g. Dawn of the Messiah). All of these resources can be found on the “Books” tab on this website. How might what Jesus is doing in the Gospel play out today? What would it be like to witness Jesus’ actions in today’s world? For example, Jesus awes the priests and teachers as a 12 year old child at the Temple in Jerusalem (Luke 2:41-52). Imagine that today a 12-year old boy goes to St. Peter’s in Rome and completely awes a group of Cardinals. It would be headline news everywhere. It would be unbelievable. But this is exactly what Jesus Christ does! What would be my personal reaction if I witness such a thing today? In future posts, there will be more examples of how the “Only Jesus is Awesome” approach works. In the meantime, seek to draw closer to Jesus Christ by acknowledging His Awesomeness and asking for Him to send the Holy Spirit into your heart and mind. For as you grow in awe of Jesus Christ, you will want to know Him and give yourself more completely to Him. May our Lord Jesus Christ bless you!